All Aboard For Union Station! This year we have something truly extraordinary planned – a guided tour of one of the most iconic landmarks of the region, Los Angeles Union Station. The last of the great railroad passenger terminals built in America, this extraordinary feat of civic planning united three transcontinental railroads, centralized passenger travel in Los Angeles and played a key role in the development of the Southern California region. 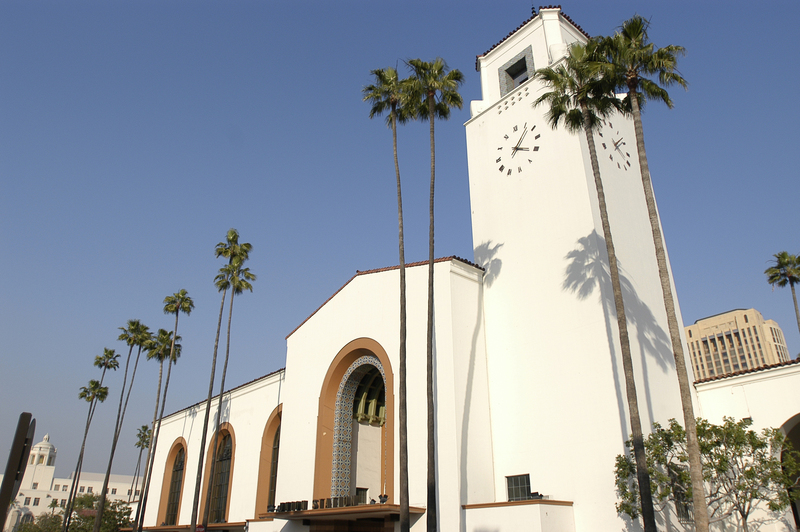 Throughout its 75-year history, Union Station’s artful blend of the Spanish Colonial Revival, Mission Revival and Streamline Moderne architectural styles has captured the hearts and the imaginations of architectural historians, travelers, railroad enthusiasts, civic leaders, authors, artists and film makers. On Saturday morning, November 8, Alhambra Preservation Group will host a special walking tour of Union Station. Led by docents of the L.A. Conservancy, our tour will focus on the art, architecture and social history of this remarkable landmark. Approximately two and one half hours in length (from 10 a.m. to 12:30), the tour covers about one mile in total distance and is wheelchair accessible. APG will underwrite the cost of admission for the first 30 members who reserve a spot to attend this private tour. If you are not already a member, but would like to participate in this tour, it’s not too late! You can join APG now. Just visit us online. Please give generously to support our vital work. Then give us a call at (626) 755-3467 so that we can reserve space for you. Don’t delay! Space is limited and this event will soon be filled to capacity. We will confirm your participation by phone or email, providing you with suggestions on how to get to Union Station, as well as information on where to park and where to meet our tour group. Thank you for your generous support of Alhambra Preservation Group! We hope you can join us on our tour of Union Station, and we look forward to seeing you at future APG events and activities throughout the year. The days are getting noticeably shorter, but the weather is still plenty toasty – it must be fall again! Alhambra Preservation Group’s annual fall membership campaign is now underway, and I hope that I can count upon you to support our work of preserving one of Alhambra’s most important cultural assets – its architectural heritage – to ensure its future vitality and liveability. Of all the elements that go into planning and managing a community’s growth and development, historic preservation is probably one of the most misunderstood, even joked about. I’m sure you recognize the many stereotypes that exist of preservation zealots: the gray-haired lady who places her body in the path of the oncoming bulldozer; the guy who tells everyone who’ll listen that there’s really only one historically-appropriate palette of colors for that Craftsman bungalow; and the “not in my backyard” folks who reflexively oppose any change or economic development opportunity. This limited – and inaccurate – view of historic preservation mischaracterizes and discredits our movement. My recent visit to one of the homes that is to be honored with this year’s APG Heritage Home Award offered a perfect example of the inaccuracy of the stereotypical view of historic preservation and its proponents. This very well-preserved 107-year-old residence displays nothing so much as flexibility and vitality – and a very modern view of environmental sustainability. Solar panels on the roof of a Victorian bungalow and an electric vehicle charging station installed along its driveway speak to the fact that the home’s owner is focused on the future at least as much as she appreciates the refinements of the past. In fact, the most common issue faced by preservation advocates across the country is not how to prevent change, but how to manage it more effectively. As we move forward into the 21st Century, that issue only becomes more critical. An increasing population, combined with diminishing natural resources and a precarious energy future demand that we employ new development strategies in communities like Alhambra. We advocate for the preservation and rehabilitation of historic buildings, not simply because they are beautiful and well-built, or because important people once lived in them; but because they have the power to generate local tax assets, stimulate investment, minimize construction debris and decrease environmental costs. They also provide a tangible connection to our shared history. These are connections that people of all cultures value. Most of us, if we are lucky, have items that we cherish and protect because someone we care about – an ancestor, mentor, family member or friend – gave them to us. Just as a ring or a painting or a precious family heirloom that is treasured and passed down from one generation to the next gives meaning to our individual lives, so does the preservation of historic buildings and local landmarks help to maintain our collective ties to our shared cultural past. More than preserving the outward appearance of a community, historic preservation is about protecting and cherishing the places that give our community life meaning and context. With your annual membership contribution to Alhambra Preservation Group, you will be investing in the future of our community; and your investment will pay both immediate and long-term benefits. As an APG member, you will be invited to participate in many events, activities and learning opportunities throughout the year. Our popular fall field trip, for example, is scheduled for Saturday morning, November 8, and is open only to members of APG. In celebration of the 75th birthday of Los Angeles Union Station, our members will enjoy a special 2-hour walking tour of the art and architecture of this National Historic Landmark, conducted by docents from our sister organization, the Los Angeles Conservancy. Our fall field trip always fills up fast, because it is offered free of charge to members. Give us a call at (626) 755-3467 or send us an email at info@alhambrapreservation.org so that we can reserve space for you. I volunteer my time to do this work because I believe strongly that Alhambra’s past is one worth saving – and celebrating. By contributing to APG’s annual fall membership campaign, you’ll be joining me and our Board of Directors in helping to preserve a priceless cultural heritage that, once lost, cannot be reclaimed. Please don’t delay. Visit us online and give as generously as you can. 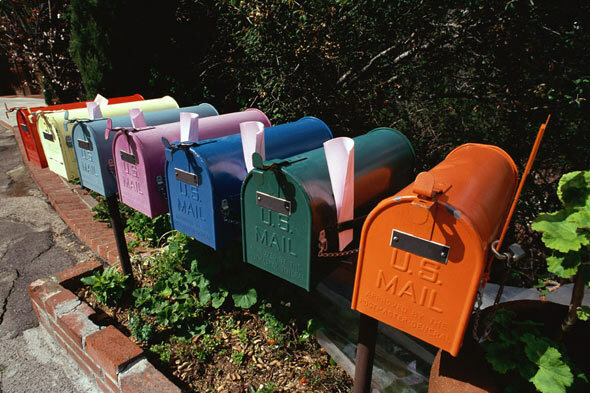 In return for your support, we promise you a full calendar of fun and educational activities, opportunities to meet some of your Alhambra neighbors, perhaps to make some new friends and, most importantly, to make a lasting difference by helping to preserve Alhambra’s past for its future. Photos courtesy of stackedbooks.org and Los Angeles Union Station.